The UV-C lamp should be replaced at the beginning of each pond season to ensure optimal UV irradiation. A UV lamp loses up to 70% of the power within a year, even though the lamp is not defective (it is still lit). But beyond the light, you will not have enough UVC power after one year. The water will turn green again. 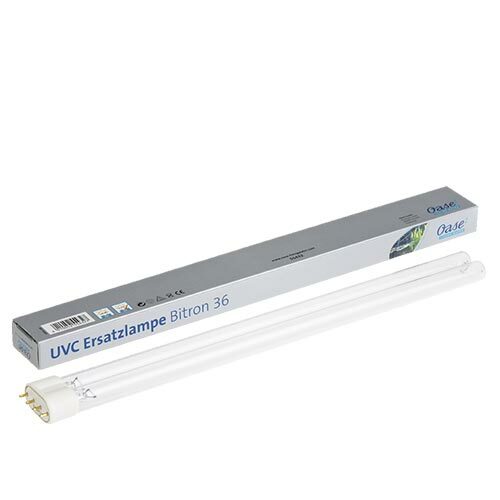 You will receive the corresponding UVC replacement lamps or torches for all models. It also happens very often in the replicas that burn the pedestals. This happens when the UVC lamp ages early and does not ignite. The starter of the PL lamp gets hot and the socket melts and you can not get the lamp out of the UVC device because it merges with the lamp socket.